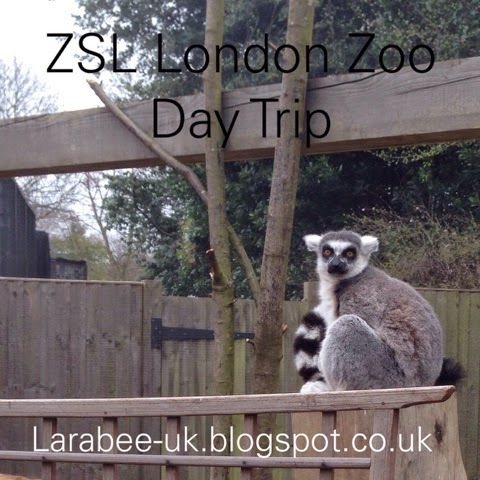 This weekend we were fortunate enough to be invited to London Zoo for the new walkthrough lemur exhibit, we set off nice and early and got to London for about 10.45. From the M1 it was really easy to get to London Zoo and it's outside of the congestion zone which is useful for midweek visitors. 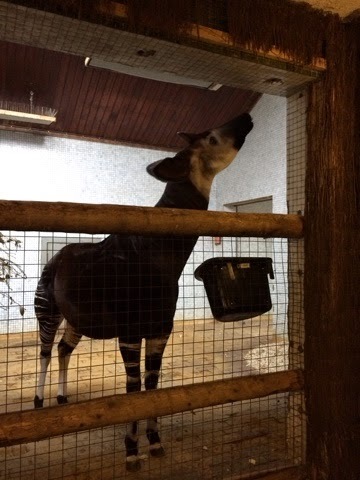 We parked in the Zoo's carpark at a cost of £14.50, which we didn't think was too bad considering that it was right on the doorstep. If you follow me on Instgram you will know that we had to have a little 'puke stop' on the way as T decided to bring up his breakfast just before Newport Pagnell services, luckily wipes and spare clothes saved the day, but it wouldn't have been too bad if we'd have needed to nip home to change and clean up. It was quite a dull, grey day but luckily the rain held off and we had a wonderful day. 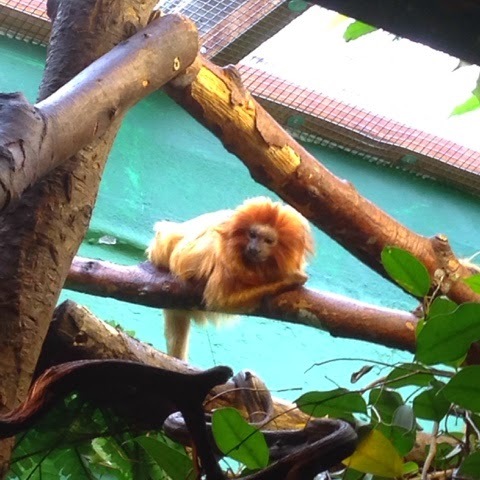 We started off by looking at some of the monkeys, most were still inside, but a couple were huddled up outside! 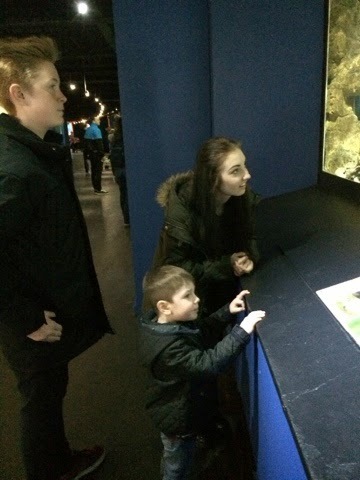 We all liked the aquarium, although T's idea of seeing the animals is looking and running, I'm sure he could have made it all round the zoo in an hour and 'seeing' all the animals ;) we tried to teach him to slow down and enjoy the animals, but I think we are going to have to work on that one! 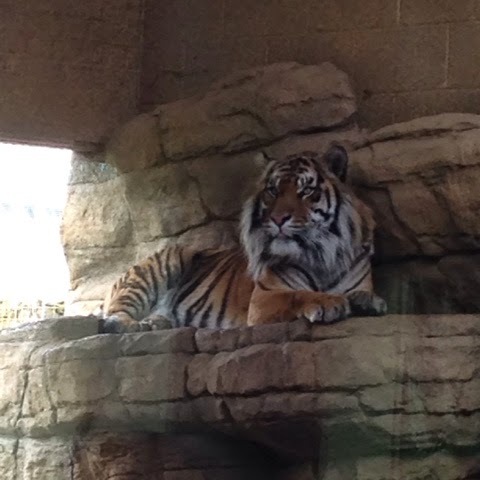 Luckily we managed to get some lovely views of the tigers who were in a lovely big enclosure, fronted in glass which made viewing even for small children really easy. 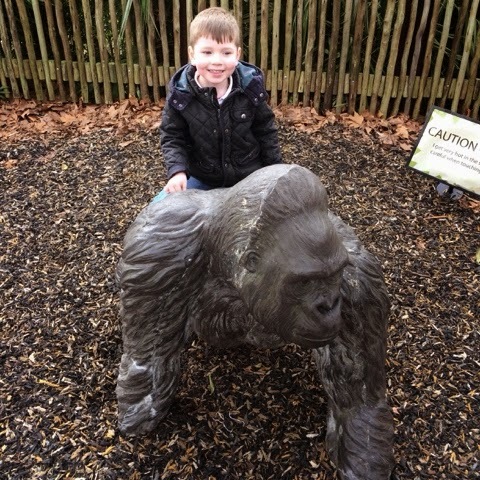 We only caught a small glimpse of a gorilla but T didn't mind as he loved riding on this one! 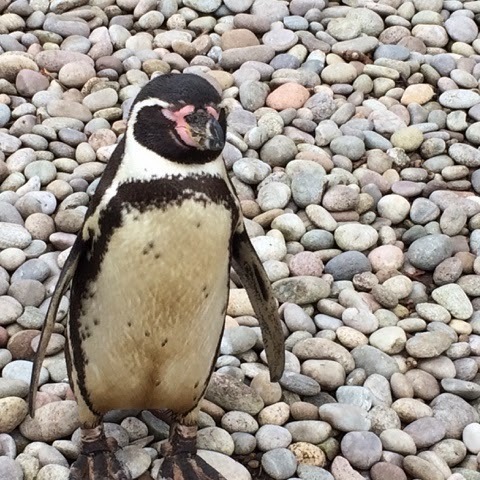 The pengiuns were really lovely albiet a little smelly and this little fella stood for ages for us to take some lovely photo's, he was far more patient than T who saw the pengiuns and was off with H looking for the next exhibit. 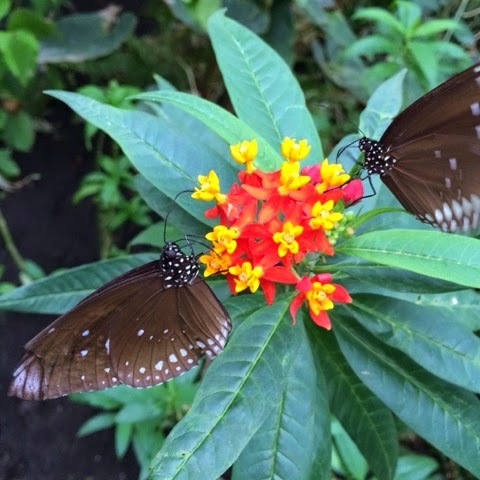 I adored the rainforest life and the golden tamarinds were just too cute. 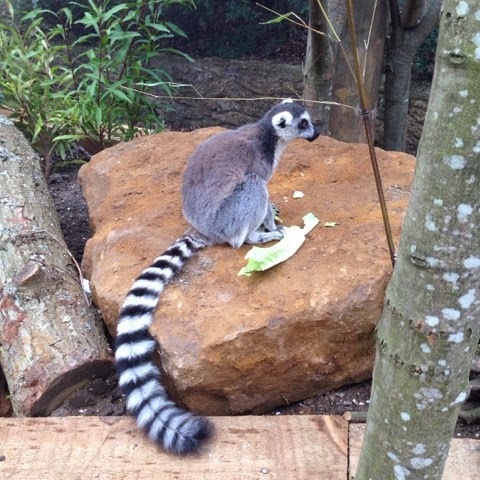 Saturday marked the grand opening of the new walkthrough lemur enclosure which was just fab, it was so lovely to get so close to the animals, although it was a little odd when a couple started fighting feet from us!! H particular really liked the lemurs, he has done since he was a little boy and this exhibit didn't disapoint, even for a 14 year old. 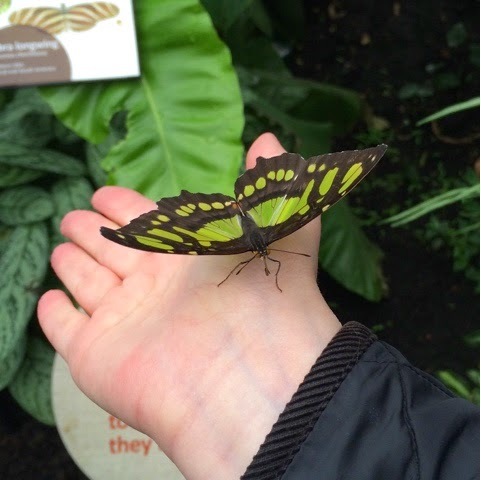 My favourite place was butterfly paradise, I really could have spent all day in there, I was pointing out a butterfly to T and another butterfly landed on my hand. We didn't get to see much on the 'other side' of the road, most of the animals were inside and couldn't be seen, but this okpai was kind enough to stay out and make it worthwhile. Sadly the lions aren't at London at the moment as they are having a new enclosure built so they are visiting Whipsnade. The hubs was disappointed by this as they are definitely his favourites. 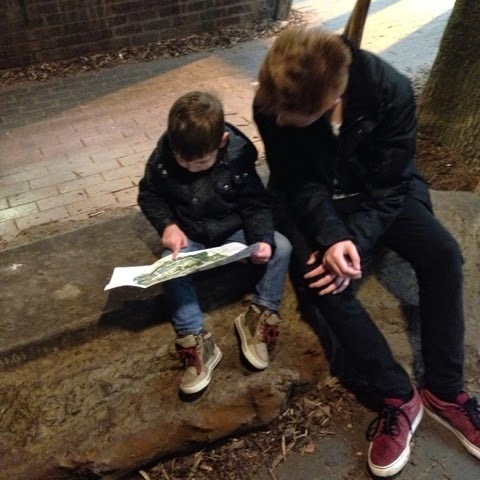 We had a lovely day out and will certainly visit again one day when T is a little older, we highly recommend a visit. 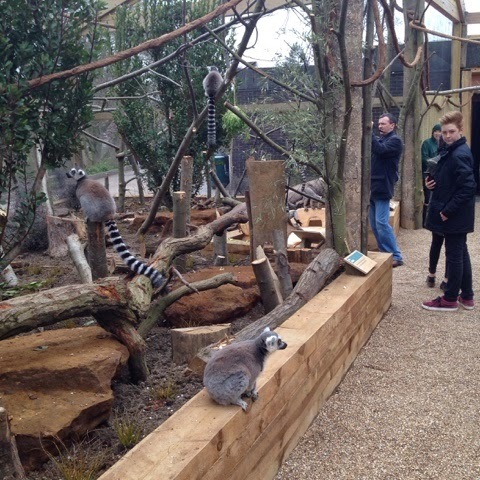 Disclaimer: we were very lucky to have received free entry to London Zoo for the opening of the new Lemur enclosure, all opinions however, are our own. 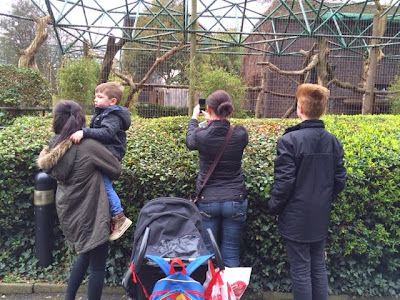 I've not been to London zoo since I was very young, I do remember it all being quite compact and walkable though. Penguins are always my favourite. I hope you get to return and see the Lions. Thank you for sharing your day on Country Kids.